Stamford Farmers Cooperative, is a locally owned & operated farm & home supply Cooperative located in Delaware County in Upstate New York. It was established in 1932 as part of GLF Cooperative, joining the Agway Cooperative in 1964. In 1994, it became 1 of only 2 Agway Store Cooperations that became Independent Cooperatives. Owned by over 250 local Member Patrons we still hold true to our original foundation. The products we sell include animal feeds and fertilizer that we manufacture in our feed mill and fertilizer plant. We offer custom chemical application of pesticides and fertilizer and lime spreader rentals. 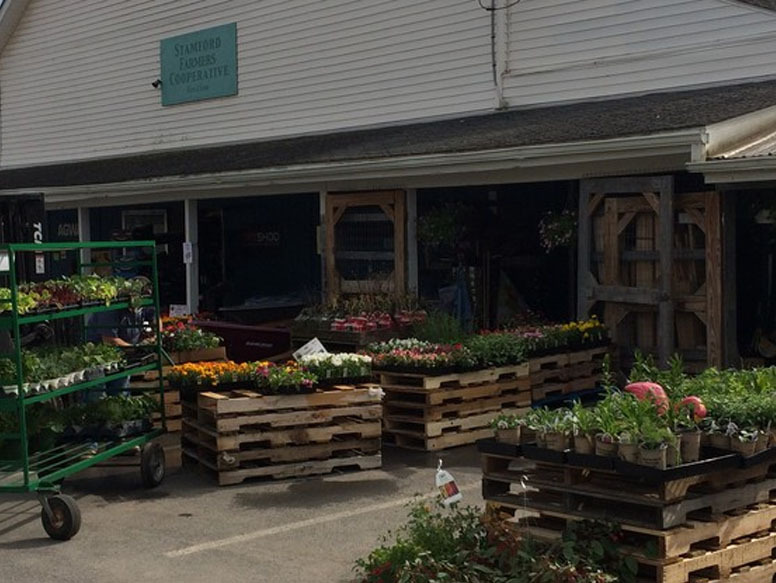 Stamford Farmers Cooperative offers many farm and home supplies including a large lawn and garden department, wide selection of pet supplies, and footwear & apparel, including DryShod boots. We have various seasonal items including pumpkins and christmas trees. Stamford Farmers Cooperative also supports our local producers by carrying several local products such as honey, milk, eggs, cheese and maple syrup. We take pride in our customer service and our friendly employees that offer a personal touch to your shopping experience.